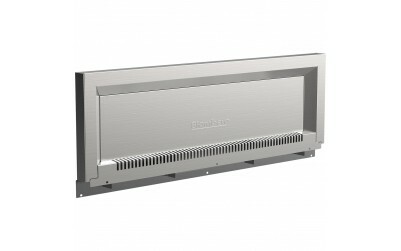 Required cutout dim (H x W x D) (in) 36" x 30 x 25 1/2"
30" Pro-Style Dual Fuel Range is rated 4.3 out of 5 by 4. 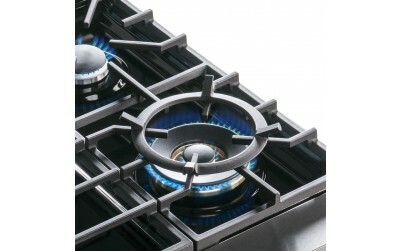 Rated 4 out of 5 by Spiez from A little disappointed I am happy with the overall performance of the stove. I’m just a little disappointed regarding the self clean option. After 5 months of using the oven, I decided to use the self clean. The next day when I woke up, the oven door was locked shut and the self clean feature was not running. Henry’s Electric was the closest authorized repair center. They were very accommodating and responded quickly. The tech repaired the stove by replacing the board. Alls well now. The only thing is, I’m wary about using the self clean as to not have a repeat bad experience. Rated 4 out of 5 by NY32 from Beautiful high end stove, reasonably priced I loved the overall design and quality, and was priced significantly lower than other stoves with similar features. The only real negative is that the oven takes a surprisingly long time to heat up (>25 minutes to reach 350F). I love the analog features but there is no light or bell that indicates when the oven has reached the set temperature. We added a 5$ after market thermometer and check it through the door- a bit annoying but workable. The gas burners are nice but doesn’t have the extra-low summer setting that can be found on some other high end (and higher priced) stoves. Nice even heat when baking. We’ve been using this stove for ~ 3 months. I would buy again. my partner, who doesn’t care about style, isn’t sure he would given the lengthy preheating time. Rated 4 out of 5 by tdechill from A nice range with a few little quirks I bought my dual fuel range in November 2017. Here are my observations after the first year. The range is well built and easy to keep clean. The cooktop cleans up in seconds. The burners are very well made and put out a perfect blue flame. The oven door is amazing! 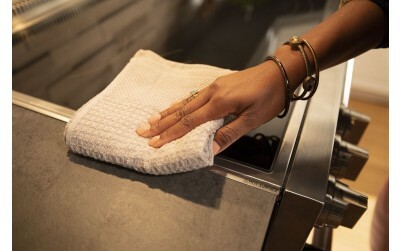 Whether in bake, roast or self-clean mode, the door is always cool to the touch. I do all my baking in Conv Bake mode and the oven bakes very evenly. 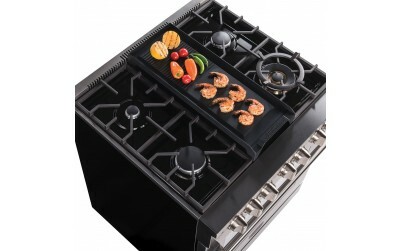 The broiler covers the entire top of the oven so you don't have to move food around on the broiler pan. Now for the quirks: 1)The biggest one: the little light on the front panel does not tell you when the oven has reached temperature. This seems to be common on European ranges. Why their engineers can't just rewire the light through the thermostat, I can't understand. I have to use an external temp. probe. 2) The one telescoping rack is permanently attached to the lowest position in the oven. 3) When you lower the outer flame on the two front burners, the inner flame still stays on high. Not until you turn off the outer flame does the inner flame start to lower. 4) The description states that you can fit a full size sheet pan. I had one but gave it away because it did not fit width-wise. 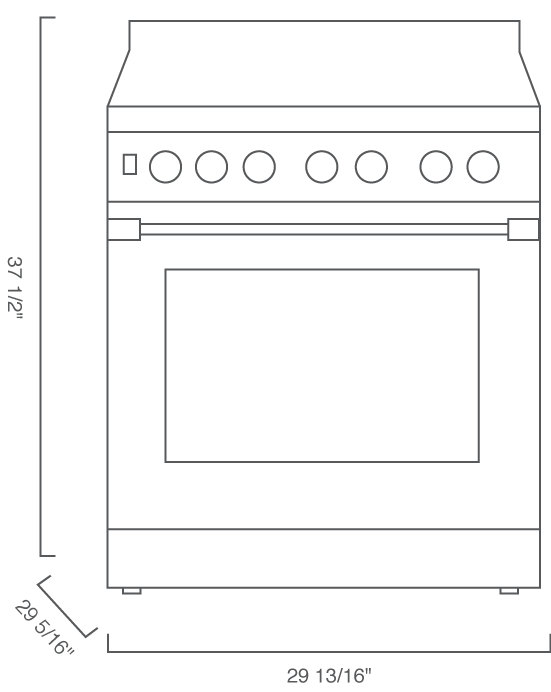 The oven is very tall but not wider than most ovens. 5) The lights over the knobs are pretty useless. They create glare on the knobs so they're hard to read. For the money, you can't find a better range. 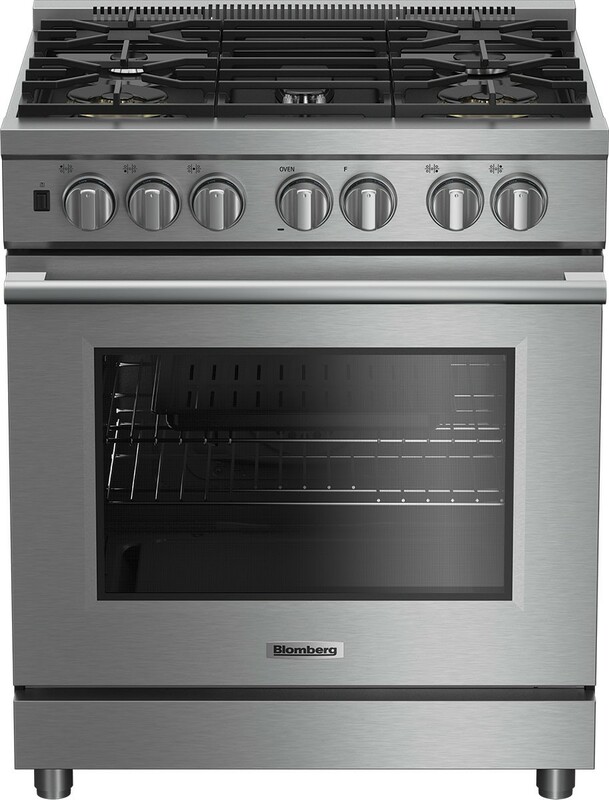 Even the pricey American ranges don't have 20,000 BTU burners. The benefits outweigh the quirks.